Berenecea J. Eanes, Cal State Fullerton’s vice president for student affairs, has been selected as the recipient of the 2019 Scott Goodnight Award for Outstanding Performance as a Dean/Vice President. 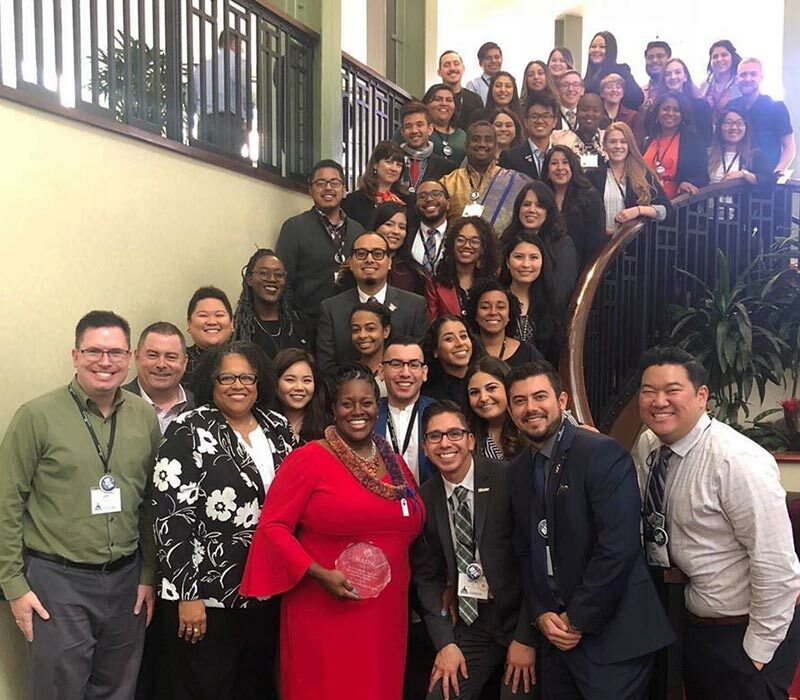 Eanes received the national recognition from NASPA-Student Affairs Administrators in Higher Education and will be honored at the organization's 2019 annual conference in March in Los Angeles. “I expressed this at the NASPA Western Regional Conference and I underscore it now. While the Scott Goodnight Award is given to one person, it’s so much bigger than one person,” Eanes said. Last year, Eanes received the same award for NASPA Region VI. She is involved in the student affairs profession through NASPA, including holding the position as NASPA Region VI director for two years. She also is the 2018 recipient of California State University's Wang Family Excellence Award for Outstanding Staff Performance.